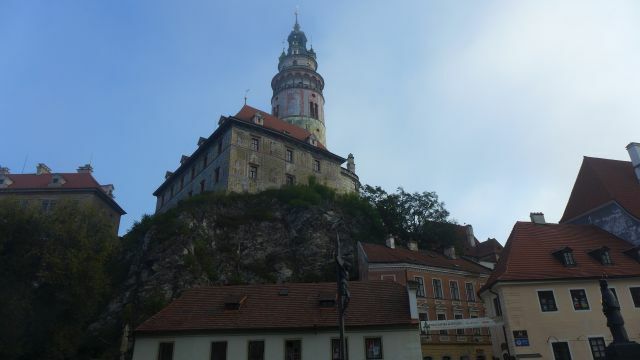 For our trip to Cesky Krumlov, Czech Republic, we took the Leo Express bus from Salzburg. We bought the bus ticket online here for EUR 10.40 per person. 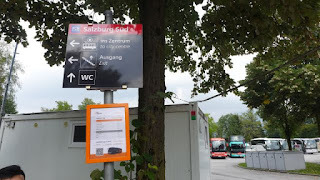 The bus pick up station is a bit outside of central Salzburg at P and R Sud near public bus stop Alpensiedlung- here. 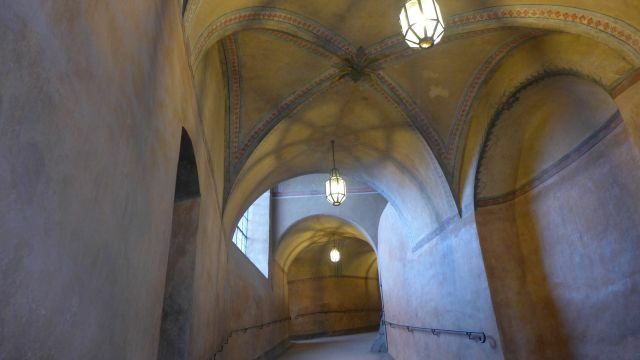 Please do not mistake it with the Salzburg Hbf station. 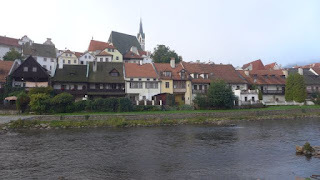 It was a pleasant ride, with free wifi and drinking water provided. 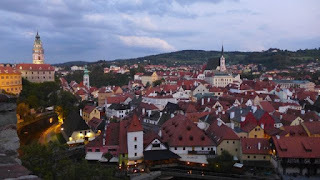 We took off from Salzburg at 2.10pm and arrived at the charming town of Cesky Krumlov at 5.20 pm. Cesky Krumlov is a Unesco Heritage Site and you will know why when you experience it yourself! 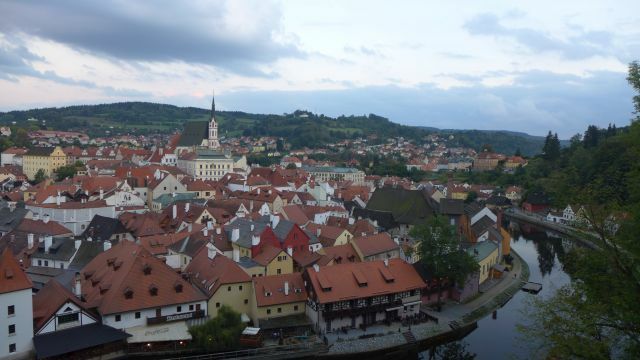 The town is located in the Czech Republic which has its own currency of Czech koruna. 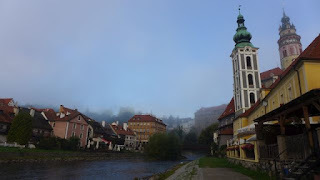 We didn't change our Euro for the trip to Cesky Krumlov as most of the shops here accepts Euro. 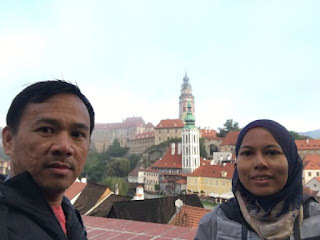 At Cesky Krumlov, we stayed at Penzion Top for EUR 49.50 per night, booked via Booking.com. 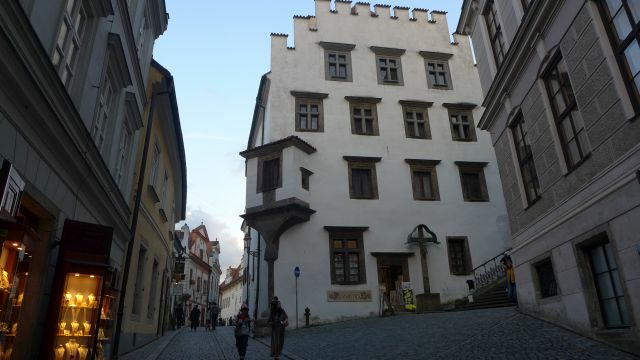 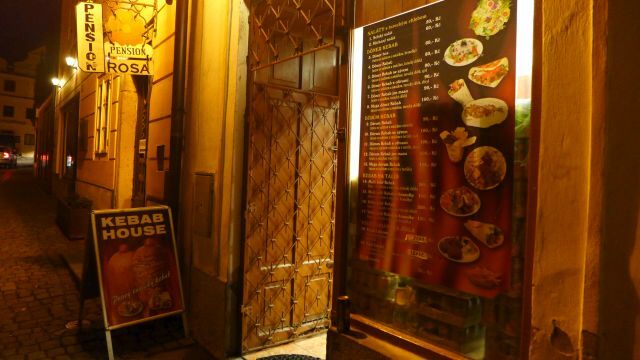 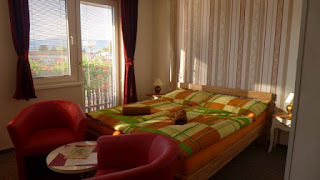 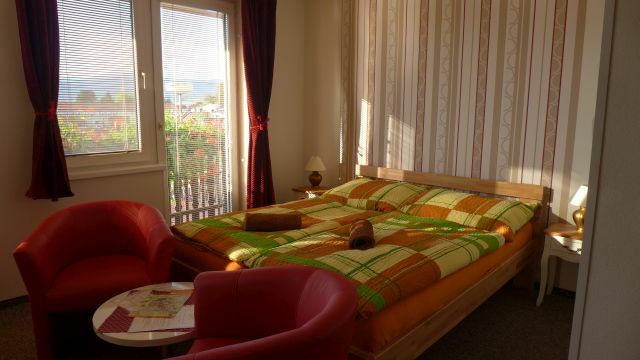 located within walking distance to Cesky Krumlov old town. 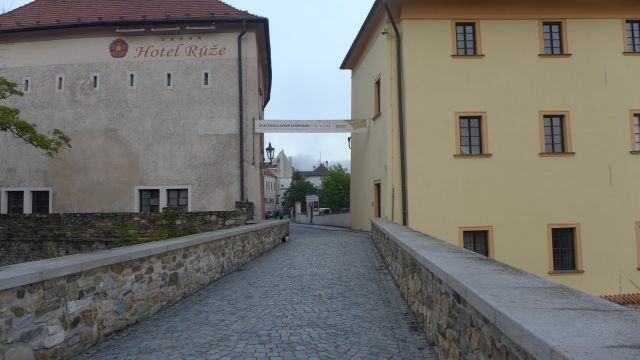 Too bad we only spent a night here in this charming town. It is recommended to spend at least 2 nights in this little town. 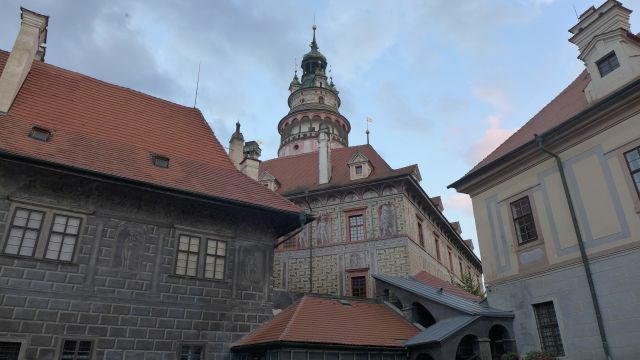 As soon as we checked in, we made our way to the Old Town, in time to get a view of the Cesky Krumlov castle at sunset, located by the Vltava river - a perfect setting! The castle was first built in 1240 by the Witigonen family with Gothic, Renaissance and Baroque elements. 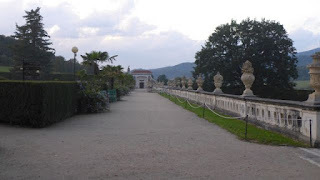 It is a complex of forty buildings and palaces, situated around five castle courts and a castle park spanning an area of seven hectares. 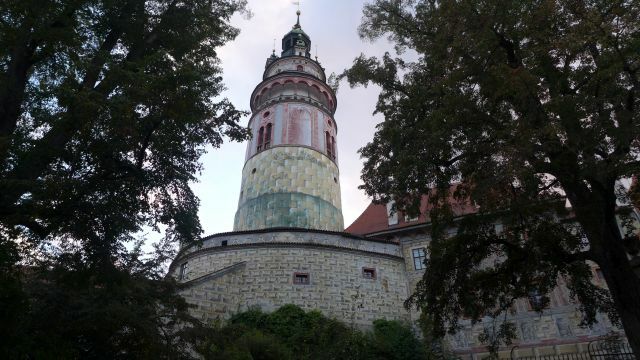 Unfortunately, the castle park was already closed at 7pm and only opened back at 7am. For me, the most eye catching feature of the castle is the colourful round bell tower and the decorative wall painting, which from afar was mistaken as brick tiles, but on closer inspection, are actually painting of brick tiles! 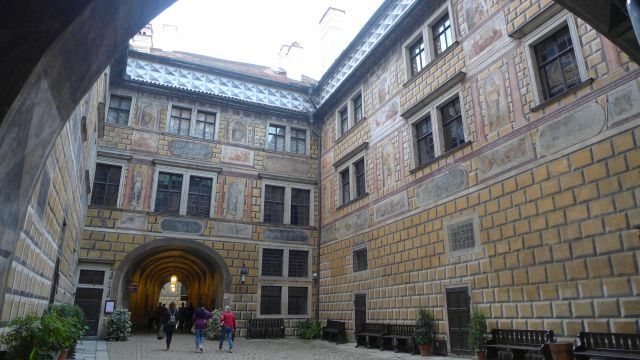 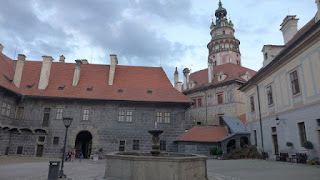 For more info on the Cesky Krumlov castle, go here. 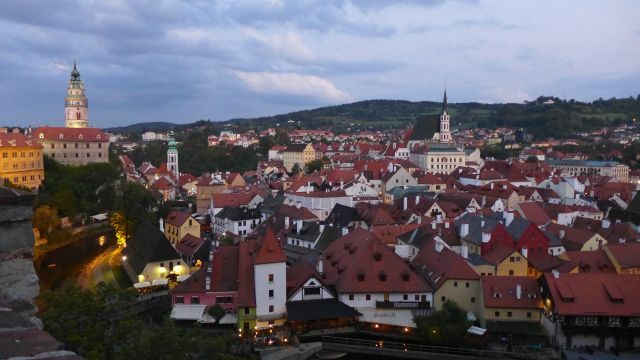 The Cesky Krumlov old town itself is an outstanding example of a small central European medieval town whose architectural heritage has remained intact thanks to its peaceful evolution over more than five centuries. 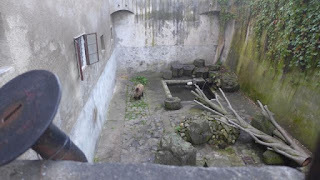 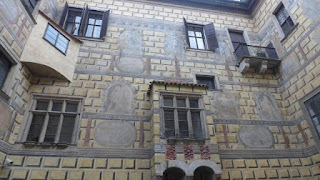 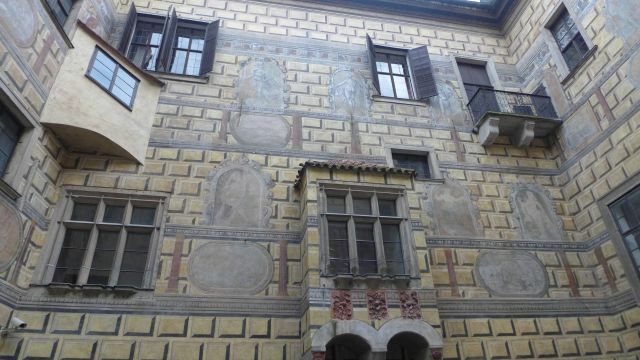 (From Unesco Heritage site ). 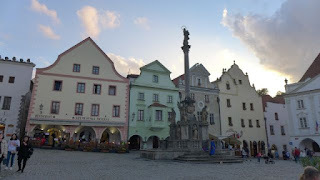 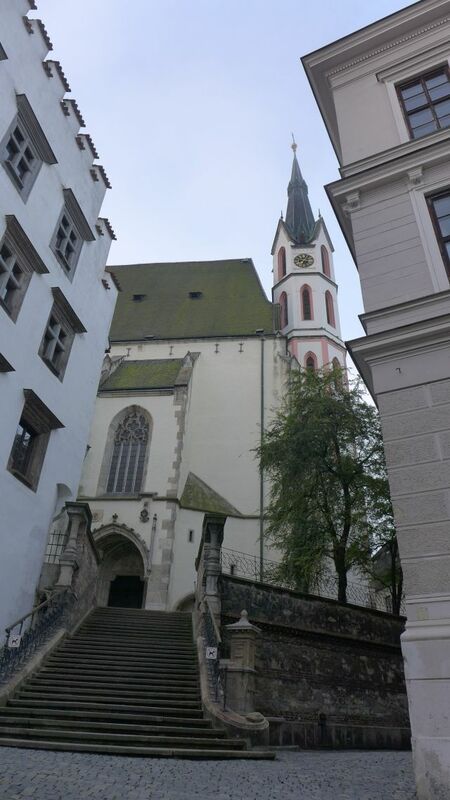 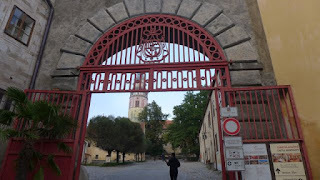 At the Old Town, we walked along the cobbled streets with monuments and buildings such as the Plague column and fountain with the statue of the Virgin Mary and eight saints at Svornosti square, a former Jesuit college (now Hotel Ruze), Chaplain house and St Vitus church.